I’m sorry this is coming in late! Normally I post my friend features on Wednesday but appropriately enough, I spent the day helping a friend of mine and I was unable to give Princess Samy the time she deserved for this feature. We can resume now though! 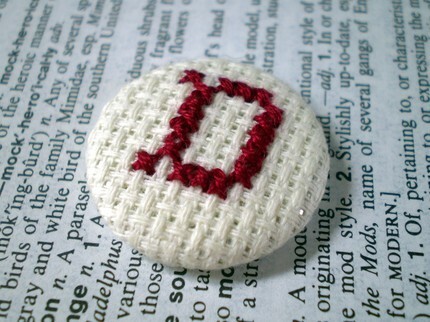 I first fell in love with Princess Samy’s shop when I saw these babies in her avatar in the Etsy forums. It was basically love at first sight. Aren’t they super swanky? 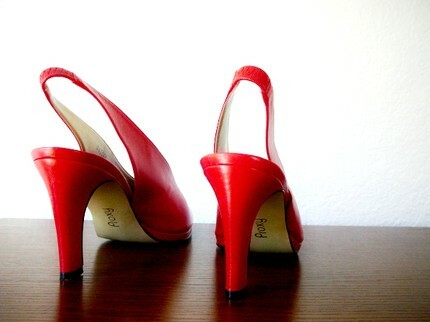 We should probably all have one pair of red pumps. Samy is currently in college working toward a Doctor of Pharmacy degree living in Florida. No longer available, super sad face. 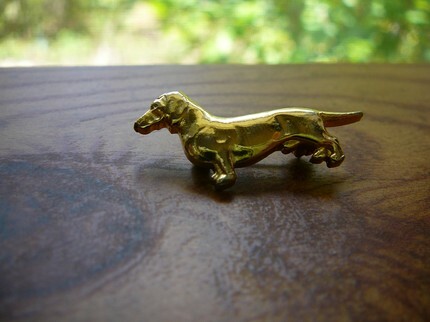 Full of great vintage finds, there is something for everyone in Samy’s shop, but especially for trendy ladies looking for some vintage flair to add to their wardrobe! You should probably just head over and check it out because if I posted all the things I think are awesome we would be here a while… go see! You can follow Samy around the web on twitter, facebook and her blog. 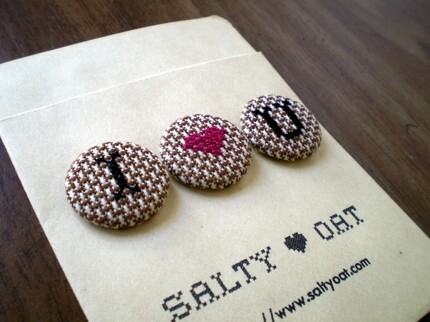 I found Caitlin from Salty Oat because she hearted (now known as ‘favorited’) me on Etsy this past week. Her avatar immediately caught my eye and when I clicked through to her shop, it was love at first sight. Caitlin has only recently begun selling on Etsy (don’t be fooled by the “opened” date on her shop, don’t you wish they’s change that?) 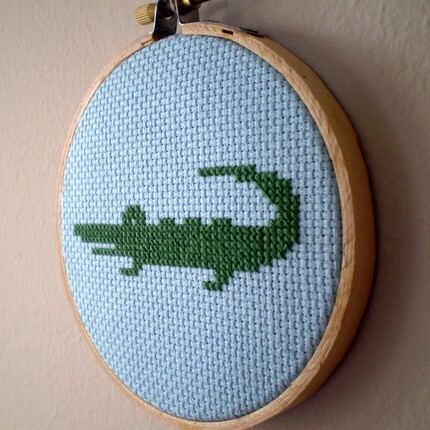 Based out of Maryland, Caitlin specializes in cross stitched adorable things. 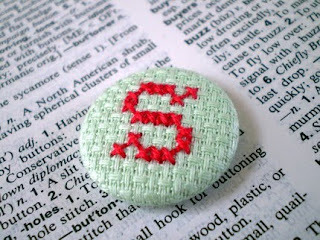 Don’t my initials look splendid stitched? I won’t ruin the rest of the surprises, you’ll have to go check it out yourself. You can also visit Caitlin’s blog and follow her on twitter. The infamous yarn closet. the cornerstone of any fibers dept. 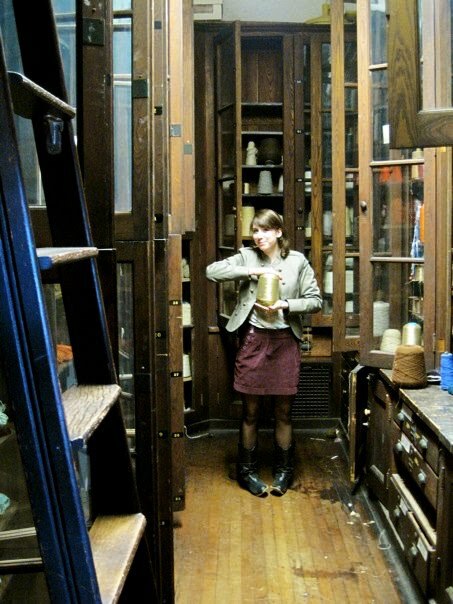 Ours used to be the chemistry closet of the school that was in the North Building before MassArt. 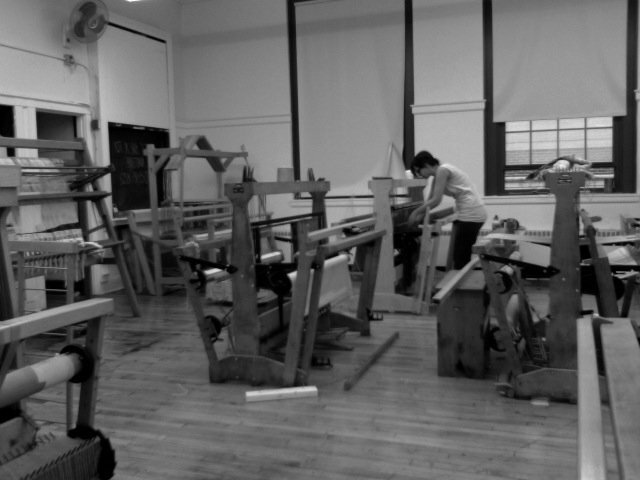 Courtney weaving in the loom room. Isn’t it a gem? Looks nice in black and white. Two years ago we took a field trip to a fiber farm! 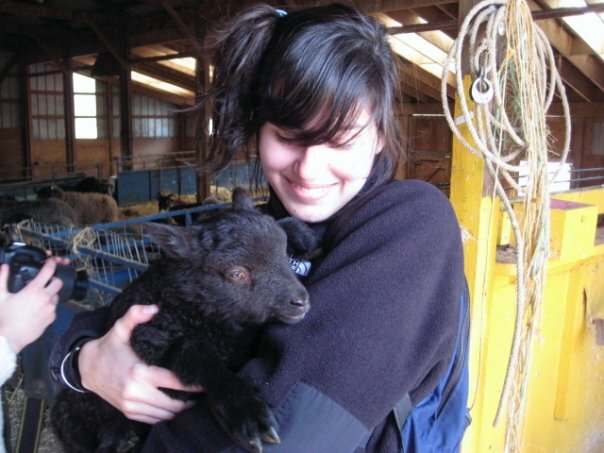 This is me and a baby sheep snugglin’. Is this an Anthropologie ad? Could’ve fooled you though. Nope, just always stylin’. Have quilting project, will travel. Quintessential domestic fibering. 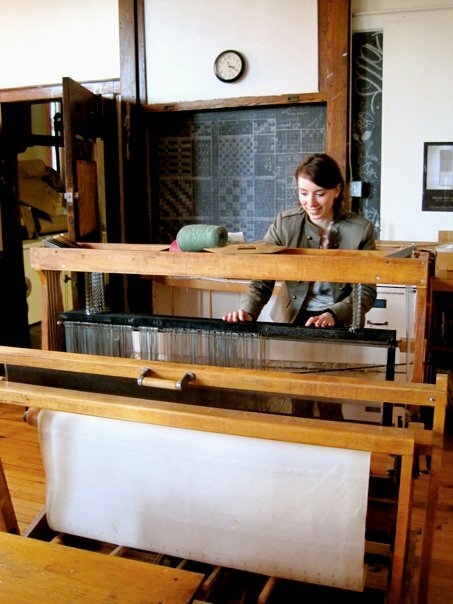 I love this photo of Courtney working on her quilt. Never let a good vintage fabric vendor pass you by. 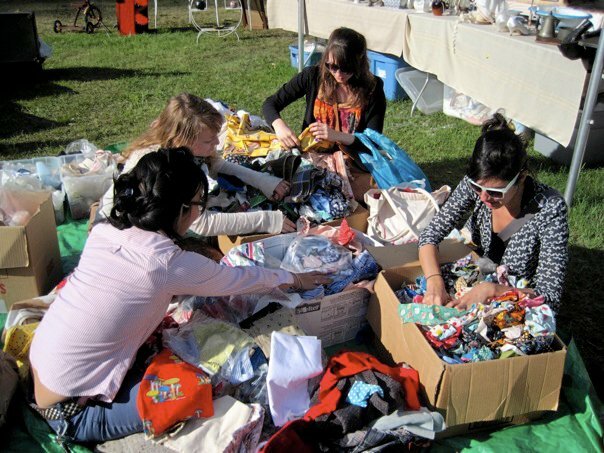 At the Brimfield Antique Market with some fiber ladies. We did this for about an hour. The woman whose booth it was asked if we wanted her to order a pizza :) . One of our Macombers. And Rebecca. 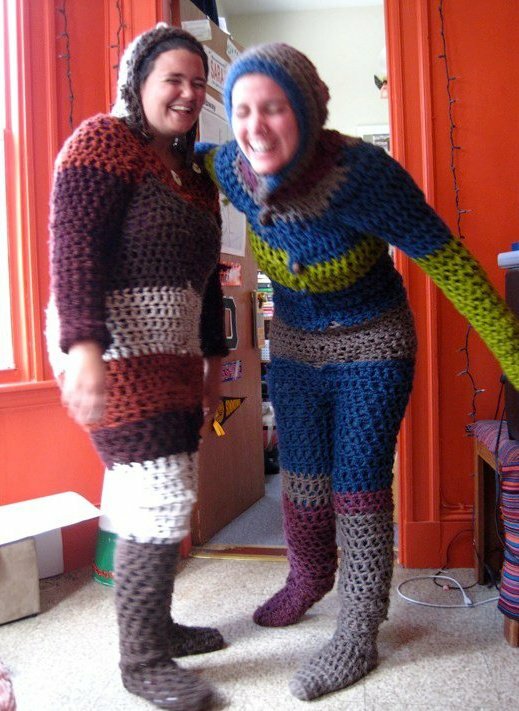 Allison’s crocheted onesies. Aren’t they awesome? More of Ashley’s handwoven garments! Mallory and Courtney modeling. 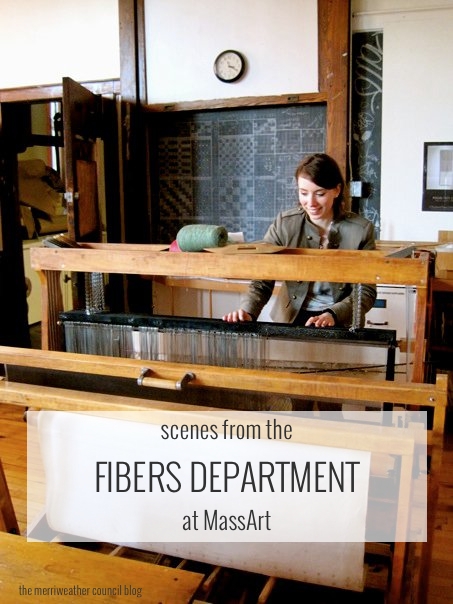 Don’t you wish you were a fibers major?